We're Hiring: Join the Team! Interested in working for a team of people completely reimagining how fitness and health care work together? At Peerfit, we’re flipping wellness reimbursements on their head by connecting insurers’ and employers’ wellness dollars to popular fitness studios offering CrossFit, yoga, barre, boot camp, cycling, and more. 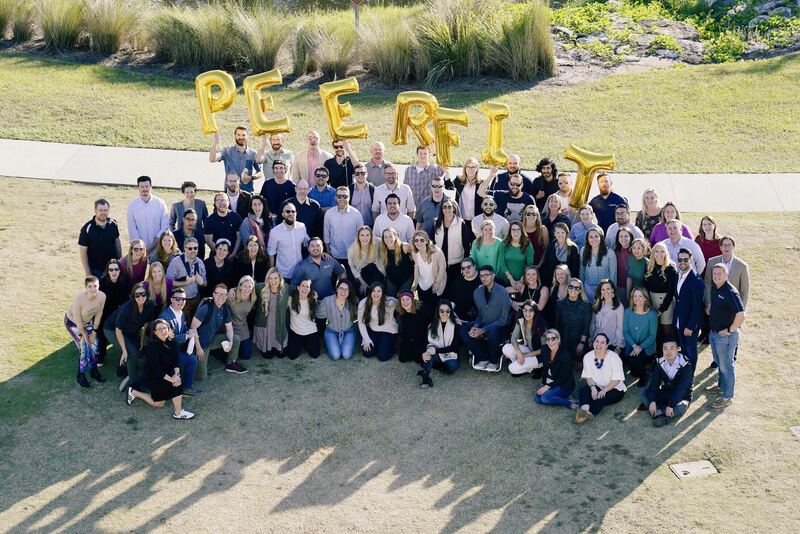 If working with a team of innovative and driven people who are modernizing how people engage with fitness excites you, look no further than Peerfit. We are looking for individuals who are passionate about all things health and wellness who thrive staying agile in a fast-growing tech environment. As a fully remote company, you are someone who can self-direct and make decisions at a high level and someone who knows how to stay motivated and work autonomously. You also love to workout and sweat and enjoy it even more when you get to do it with friends and colleagues. As a Peerfit employee, you will have access to Peerfit credits for you to enjoy in any of our markets, full health insurance, access to stock options, and other benefits. Plus, you will be working with a community of people who have built an award-winning culture. We’re proud to say we have been voted one of the “Best Places to Work” by the Tampa Bay Business Journal two years in a row, “Top Company Cultures” for 2018 by Entrepreneur, “Best Company Leadership”, “Best Company Managers”, “Best CEOs for Women”, “Best CEOs for Diversity” among others by Comparably. Peerfit is an equal opportunity employer. We are committed to providing a workplace driven by diversity and mutual respect where all employment decision are based on merit, qualifications, and business needs. We do not discriminate based upon race, religion, color, national origin, gender (including pregnancy), sexual orientation, gender identity, gender expression, age, status as a protected veteran, status as an individual with a disability, or other applicable legally protected characteristics.